One of the great experiences of this tour is to step on the Inlandsis, the second largest reserve of the ice on the planet. 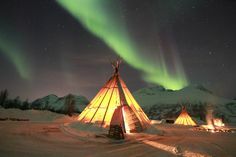 The Ammassalimmiut, on the east coast of Greenland, formed part of the last Inuit group that had contact with the «white man». 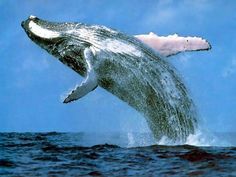 It happened when the Danish explorer, Gustav Holm, found them in 1884. This is about the last direct descendants of the Dorset and Thule arctic cultures. Its relative isolation and strong ties with the past have led to an enormous maintenance of their cultural and survival traditions: even their dialect is archaic compared to the greater part of Greenland’s population. Our goal will be to get submerged in this unique Inuit culture, learn from their skills, and be first-hand witnesses to their adaptation to the environment. The name «Tunu» means: «the opposite side, back, back side», since it is precisely the largest human concentration that is found in the other part of the island, on the West Coast. And so, this region constitutes «the other face of life, the other face of Greenland». Our aim will be to explore the land of the Ammassalimiut, on foot and by boat. In addition, this trekking in Greenland expedition will give us the opportunity to see a beautiful area of remote valleys of the Arctic, mountains and fjords huge, full of icebergs. And we can also see the layer of ice that covers more than 80% of the island. During this trekking tour will also visit traditional populations while enjoying the spectacular views of the fjords, glaciers and icebergs of this wonderful Greenlandic region. 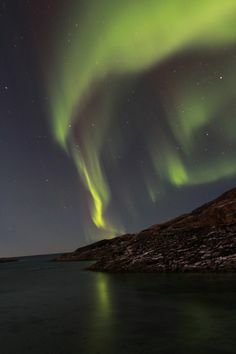 The possibility to observe seals, whales (basically sei and narwhals whales), polar bears and arctic foxes, and also of the majestic Northern Lights. Accommodation in a guest house (shared room) and in a hostel with double or triple rooms and in tents. In this expedition, there will be no cook traveling with us, so the preparation of the food will be a team work. The provided lunches will be dryfood and picnic food style, although varied, due to the lack of infrastructure in this area, and also because the activities at the time that we may be doing. European food will be mixed with local food, and will be prepared by the group. Note: The guide will adapt the program and activities in function of the group. The order and contents of the expedition may vary. We will adapt the route and its contents depending on conditions and options that may be offered to us in each moment. Along the expedition, the cooperation of all participants will be crucial. Day 1: Flight Reykjavik (Iceland) - Kulusuk (Greenland). Arrival to Kulusuk, traditional town located, on an island that has the same name. Luggage pick up and transfer to the guest house. 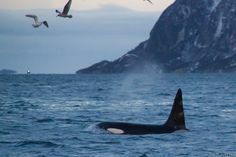 Free afternoon to take a first impression and do some contact with this majestic Greenlandic region and its residents. Lunch and dinner cooked by ourselves. Accommodation in a guest house with shared bedrooms (sleeping bag). Day 2: Kulusuk - Tasiilaq Fjord - Tasiilap Kuua. After breakfast, we will depart by boat from Ittimiini towards the Tasiilaq Fjord, a spectacular trip of 2 hours, going through the Kuummiut traditional settlement. We will begin the trekking with our backpacks from the Tasiilaq Fjord, through the Tasiilap Kuua Valley. Huge vertical peaks are waiting for us in today's route, surrounded by majestic mountains and glaciers that may be seen as we travel into the valley. Little by little, the river will be growing increasingly large and powerful, seeking its devise between the plates of snow. The way will lead us by the glacial river of the Pikkelhuen Peak, and finally up to our camp, located just below the vertical peaks of Trillengerne (The Triplet, 2069m). Duration of trekking: 6-8 hours and 12 km. Picnic en route. Dinner will be prepared by us. Nights in tents. Day 3: Ningerti - Sermilik Fjord. After breakfast, we will begin a wonderful trekking that will take us through areas of tundra and flowers, huge moraines, lakes, glacial rivers and impressive glaciers on both sides of the valley. At the end of the tour, there awaits for us breathtaking views from the rugged Ningerti and Sermilik Fjords, the latter also called the Ice Fjord, because of the large number of icebergs and ice plates that float on the water. Duration of trekking 6-8 hours - 14 km. Picnic en route. Breakfast and dinner will be prepared by us. Night in tents. Day 4: Sermilik Fjord. After breakfast, we continue our route through the huge Sermilik Fjord, and we will be able to see a gathering of giant glaciers from the Inlandsis, which nourishes its waters with ice. We will continue with our journey along the coast towards the south east, the most challenging and demanding part of this tour. We will reach a point where we will have to wade through the fjord below the imposing glacier. Duration of hiking: 6-7 hours - 11 km. Picnic en route. Breakfast and dinner will be prepared by us. Night in tents. Day 5: Llinera Valley. 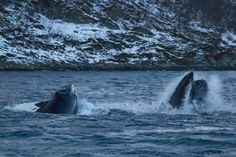 We will wake up wrapped with the sound of millions of tons of ice breaking between the ocean currents in the mouth of the fjords. While in the east, we will be able to observe the large glaciers and the ice tongues which run from the Inlandsis. After breakfast, we will continue the trip and we will pass by waterfalls, small lakes and rivers that we will find in our way on the road tho the Llinera Valley. Duration of hiking: 6-7 hours - 11 km. Picnic en route. Breakfast and dinner will be prepared by us. Night in tents. Day 6: Sangmileq Fjord - Tasiilaq. After a good breakfast that will recharge us with the necessary energy, we will travel towards the meeting point, where we will be picked up by a boat to take us to the town of Tasiilaq, capital of the Tunu region, and for many, the most beautiful city in Greenland. Breakfast will be prepared by us. Picnic lunch en route. Accommodation in a hostel with double or triple rooms. 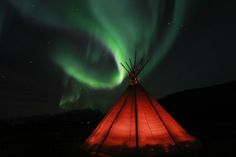 Note: End of the «Trekking under the Northern Lights in the Land of Tunu» program, for those who have joined our "Cultural and Trekking" combined will continue with the «cultural Expedition Tunu» program. Day 7: Tasiilaq - Qaqqartivagajik Mountain - Tasiilaq. After breakfast, we will begin to walk towards the Qaqqartivagajik Mountain (718m). An easy excursion of about 4 hours, that takes us through the valley of the flowers, all the way to the top of this mountain, with views of the imposing mountain ranges that surround the island, and where we can also observe the movement of the world's largest ice through the «Polar Stream» medium, from the Polar Basin. Picnic lunch en route. In the afternoon, we will be able to visit the town of Tasiilaq. Also, we recommend you visit the local museum, which is one of the most important and visited in Greenland. There you will see an exhibition about the history of the east coast of the country, which includes a display of masks, sculptures, antique photographs, and so on. To visit the Potato House, reconstruction of a traditional Greenlandic house made of stone and peat, and then to go to the Citadel, a building constructed in 1894 by the first Danish missionary, Revered Rüttel and his wife. Also to see the house of the missionaries, built in 1895, that served as a church, a school and as a hospital. To visit the Trade Manager's House, a building constructed in the 20s, destroyed in the 50s, and reconstructed later. It was occupied between 1932 and 1933 by Knud Rasmussen (father of esquimology), when he came to make the film «Palos Brudefaerd». In the evening, and after dinner, we will go to the Krostuen, one of the two places in the city that are focused on the local nightlife. Accommodation and breakfast in a hostel with double or triple rooms. Day 8: Sangmileq Fjord. After breakfast, we will leave by boat to arrive to the small Sangmileq Fjord, located to the south of the Johan Petersen Fjord and two hours of navigation from Tasiilaq. After the disembarkation, we will begin our hike in order to get closer to the spectacular Inlandsis, the second largest reserve of ice of the planet after the Antarctica. A wild place, isolated, without a human trace and devoid of life. The walk of 6 hours is not difficult, but it is the most demanding on this trip. Picnic en route. Breakfast and dinner will be prepared by us. Night in tents. Day 9: Sangmileq Fjord - Inlandsis. 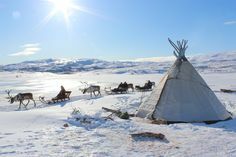 Once we regained the sufficient energy after breakfast, we will begin a walk to get closer to the spectacular Inlandsis, to step on that desert of ice, which in some places reaches 3,500 meters of thickness and in which the Inuit themselves do not go any further due to the absence of animals to hunt. This trekking of 6 or 7 hours is not difficult, but it will take you to a barely explored and wild terrain and that on some maps it is signaled as «unexplored». Picnic en route. Breakfast and dinner will be prepared by us. Night in tents. Day 10: Johan Petersen Fjord. After breakfast and after packing our camp and prepared the luggage, we will begin trekking to the highest point of the area (350m). From here, we will be surrounded by the 20 km of helero walls that contains the Johan Petersen Fjord; a world of ice, icebergs and glaciers, that only you can imagine when you have lived it and it is better to have done so, instead of someone else telling you about it. After that, we will descend on a path of rock to meet again with our boat and the baggage that we have left and did not needed. Then, we will sail towards the Johan Petersen Fjord, and in one of its coasts we will mount our camp. Picnic en route. Breakfast and dinner will be prepared by us. Night in tents. Day 11: Johan Petersen Fjord. Reserve Day in case of adverse weather conditions. Today we will be able to have a day of active rest. 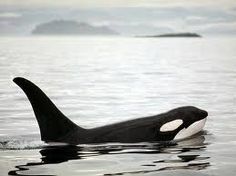 We can relax and enjoy the beautiful views that are offered to us by the Johan Petersen Fjord. For the more adventurous and tireless, we will be able to explore this area a little more. Picnic en route. Breakfast and dinner will be prepared by us. Night in tents. Day 12: Sermilik Fjord - Kulusuk. After breakfast, we will say goodbye to this world, adorned with a cold blue color and impregnated by the silence, peace and solitude. We will get on the boat again and we will keep on our navigation through the impressive Ammassalik Fjord. We will arrive in the afternoon to the traditional town of Kulusuk. We will have free time to visit this settlement and enjoy the hospitality of its residents. Picnic lunch en route. Dinner and breakfast will be cooked by ourselves. Accommodation in a guest house with shared rooms. Day 13: Flight Kulusuk - Reykjavik. After breakfast, we will transfer over to the airport. Return to Reykjavik (Iceland). Note: The program will vary in function regarding the weather and the sea conditions, and of the drifting of ice, the presence of animals and the decisions of the Chiefs/Inuit hunters at the time. Personal expenses, such as drinks, museum entrances, phone calls, etc.